A fuel station in Burmarrad which is still under construction is being advertised as “opening soon” despite two pending appeals seeking to revoke the permit issued last summer. Located outside the development zone, opposite the Kiabi complex, the project comprises a car ash, a tyre service station and an automated teller machine. In July of last year, the Planning Authority gave the green light for the development despite the objections raised by NGOs, the St Paul’s Bay local council and the Environment Resources Authority. Subsequently, both the ERA and the council appealed the decision, but work on the project had started nonetheless. Back then the planning watchdog noted that such works were in line with the parameters of the law, which states that if the permit was revoked following appeal, the developer, in this case Joseph Attard of Construction and Turnkey House Limited, would have to restore the site to its original condition at the company’s expense. Meanwhile, appeal proceedings before the Environment and Planning Review Tribunal are ongoing. While the two appellants had till the end of January to file their submissions, the developer must reply by the end of this month. Despite the fact that the case is still open, a sign which was recently erected at the construction site says that the fuel service station will be ‘opening soon’. In turn, this has fuelled speculation that the outcome of the appeal was a foregone conclusion in the developer’s favour. 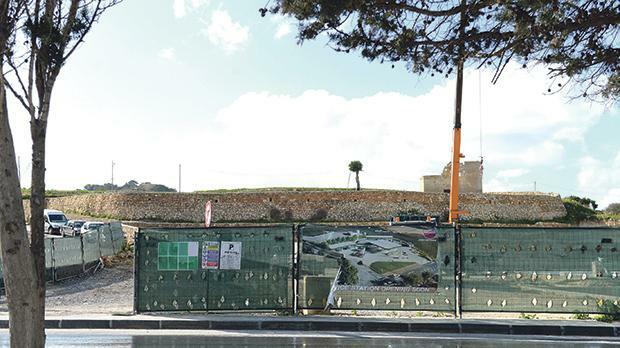 The Times of Malta sought a clarification on Tuesday from the applicant’s architect, Joe Grech, whose name was on the sign put up at the Burmarrad site. However, by the time of writing no reply had been received. Mr Grech was asked to explain on what grounds the sign had been put up. Apart from the ODZ location, the project had stoked controversy as the fuel station’s close proximity to three other facilities in St Paul’s Bay goes against the policy which says that these must be at least 500m apart. However, the Planning Directorate argued that in view of the fact that the stations were separated by the Erba’ Mwieżeb junction and were not accessible through the same carriageway, such a criterion could be waived. On its part, the ERA is insisting that the project’s footprint is in excess of the 3,000 square-metre limit stipulated by the fuel station policy. The issue also created a split within the St Paul’s Bay council, such that the Labour Party councillors were against the decision to file the appeal.